Celebrate the wonder when Wonder Woman arrives onto Ultra HD Blu-ray, Blu-ray 3D Combo Pack, Blu-ray Combo Pack, DVD and Digital. Gal Gadot returns as the DC Super Hero in the epic action adventure from director Patty Jenkins (Monster, AMC's The Killing). The Ultra HD Blu-ray, Blu-ray 3D Combo Pack, and Blu-ray Combo Pack will include an all-new bonus scene never before seen in theaters. Wonder Woman will be available on Ultra HD Blu-ray for $44.95, Blu-ray 3D Combo Pack for $44.95, Blu-ray Combo Pack for $35.99 and DVD for $28.98. The Ultra HD Blu-ray features an Ultra HD Blu-ray disc with the theatrical version in 4K with HDR and a Blu-ray disc also featuring the theatrical version. The Blu-ray 3D Combo Pack features the theatrical version of the film in 3D hi-definition and hi-definition; the Blu-ray Combo Pack features the theatrical version of the film in hi-definition on Blu-ray; and the DVD features the theatrical version in standard definition. The Ultra HD Blu-ray, Blu-ray 3D Combo Pack and Blu-ray Combo Pack will include a digital version of the movie with UltraViolet. Fans can also own Wonder Woman via purchase from digital retailers beginning August 29. The new trailer comes from from Warner Bros. Home Entertainment YouTube, which you can check out below along with the Blu-ray artwork. The Blu-ray discs of Wonder Woman will feature a Dolby Atmos soundtrack remixed specifically for the home theater environment to place and move audio anywhere in the room, including overhead. To experience Dolby Atmos at home, a Dolby Atmos enabled AV receiver and additional speakers are required, or a Dolby Atmos enabled sound bar; however, Dolby Atmos soundtracks are also fully backward compatible with traditional audio configurations and legacy home entertainment equipment. Joining Gadot in the international cast are Chris Pine (the Star Trek films), Robin Wright (The Girl with the Dragon Tattoo, Netflix's House of Cards), Danny Huston (Clash of the Titans, X-Men Origins: Wolverine), David Thewlis (the Harry Potter films, The Theory of Everything), Connie Nielsen (Fox's The Following, Gladiator), Elena Anaya (The Skin I Live In), Ewen Bremner (Exodus: Gods and Kings, Snowpiercer), Lucy Davis (Shaun of the Dead, FX's Better Things), Lisa Loven Kongsli (upcoming Ashes in the Snow), Eugene Brave Rock (AMC's Hell on Wheels) and Saïd Taghmaoui (American Hustle). The film was produced by Charles Roven, Deborah Snyder, Zack Snyder and Richard Suckle, with Stephen Jones, Geoff Johns, Jon Berg, Wesley Coller and Rebecca Steel Roven serving as executive producers. Warner Bros. Pictures presents, in association with Tencent Pictures and Wanda Pictures, an Atlas Entertainment/Cruel and Unusual production, Wonder Woman. The film is rated PG-13 for sequences of violence and action, and some suggestive content. The Wonder Woman Ultra HD Blu-ray, 3D Blu-ray and Blu-ray Combo Pack contain the following special features: Epilogue: Etta's Mission, where Etta Candy gets the boys back together for a secret mission that could impact humanity's future. Crafting the Wonder showcases Wonder Woman as she finally comes to life in her first, breathtaking solo film. Explore the journey to create an adventure worthy of DC's greatest warrior. 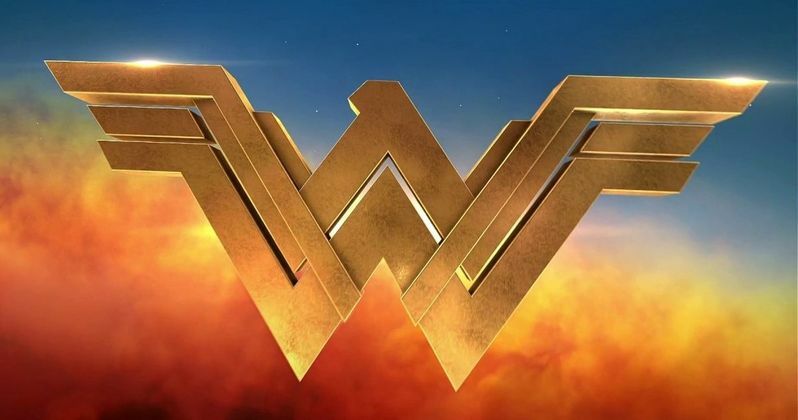 There are also five featurettes dubbed A Director's Vision, which feature Themyscira: The Hidden Island, Beach Battle, A Photograph Through Time, Diana in the Modern World and Wonder Woman at War, where director Patty Jenkins as she takes you on an exclusive journey through "Wonder Woman's" most pivotal and exciting moments. Warriors of Wonder Woman allows fans to witness the creation of the Amazon army as the women of Wonder Woman transform emotionally and physically into the world's most powerful and heroic warriors. The Trinity features filmmakers and comic book creators explore the legend of Wonder Woman and how she stands shoulder to shoulder with Superman and Batman to create the pillars of the DC Universe. The Wonder Behind the Camera introduces the women behind the wonder as they welcome a group of aspiring filmmakers on set for an exclusive, once-in-a-lifetime experience. Finding the Wonder Woman Within allows fans to feel the power of Wonder Woman as award-winning poets and inspiring public figures reveal the impact and importance of DC's greatest heroine. The Blu-ray bonus features close out with Extended Scenes and a Blooper Reel. The Wonder Woman Standard Definition DVD contains the following special features: Crafting the Wonder, A Director's Vision: Themyscira: The Hidden Island, A Director's Vision: Beach Battle, A Director's Vision: A Photograph Through Time, A Director's Vision: Diana in the Modern World, A Director's Vision: Wonder Woman at War, Warriors of Wonder Woman, The Trinity, The Wonder Behind the Camera, Finding the Wonder Woman Within, Extended Scenes and Blooper Reel. On August 29, Wonder Woman will be available to own for streaming and download to watch anywhere in high definition and standard definition on favorite devices from select digital retailers. On September 19, "Wonder Woman" will be made available digitally on Video On Demand services from cable and satellite providers, and on select gaming consoles. With digital, fans can watch a digital version of their movie or TV show anywhere, on their favorite devices. The digital movie is included with the purchase of specially marked Blu-ray discs. Consumers can instantly stream and download movies and TV shows to TVs, computers, tablets and smartphones through retail services like CinemaNow, Flixster Video, Vudu and more. Take a look at the Blu-ray artwork for Wonder Woman below.